Sony Ericsson Xperia X2 coming 17 June? Sony Ericsson set to launch new Xperia X2? A new invite from Sony Ericsson has fallen into the inboxes of the world's media, prompting expectations of another launch. "Join Sony Ericsson as we take you on a journey where mystery, magic and entertainment fuse seamlessly with cutting-edge technology. 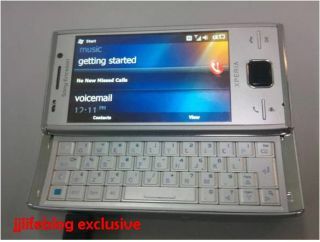 Sony Ericsson gives a glimpse of what the future holds. This is not just entertainment. It's entertainment unlimited." The world has been treated to spy pictures of the Xperia X2 for a number of weeks now, and Sony Ericsson usually likes to launch a top handset when talking about its strategy. The Xperia X2 is set to follow the same form factor as the X1 with a slide out QWERTY keyboard and improved processor and on board memory. We'll have to wait and see if the new phone turns up at the event, or whether it's just Sony Ericsson posturing further with the Satio and friends, but it's always nice to have a mystery mid-week, isn't it?